Phyllis Green is a home health nurse of 40 years and CWOCN for 16. Her position with Home Call allows her to serve as a consultant for patients throughout the state of Maryland. She has dedicated her entire nursing career to helping her patients stay in the comfort of their own homes. Phyllis is a vital part of her home care company, serving as educator for WOC-related care, competencies, best practice and standards of care. She accompanies staff nurses to patient's homes to help solve various pouching, wound and incontinence problems, educating her co-workers, the patients and their families. Phyllis is highly dedicated to her local Baltimore WOCN affiliate, as well as to both the Mid-Atlantic and Northeast WOCN regions. She regularly assists with annual area workshops promoting nursing professionalism at its best. Most recently, Phyllis was a key member of the Baltimore Affiliate Ostomy Task Force which focused on a project that sought to ensure a smooth transition between care levels, highlighting the ostomy nurses’ commitment to their patients across the care continuum. One of Phyllis’ many work highlights is her project centered on WOCN nursing in Germany. In 2008 she led a group of WOC nurses to Heidelberg University Hospital, where she held a joint Wound Care Symposium for German and American clinicians. The next year she hosted a delegation of ten German wound nurses from Heidelberg University Hospital to the States. The relationships that were forged from this union were deep and sustaining. Phyllis was recently featured in the Journal of Ostomy Wound Management in an article entitled “My Scope of Practice”. 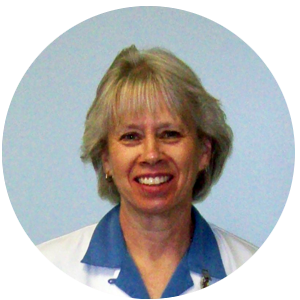 She says she truly enjoys helping her patients cope and adapt to their new body changes and challenges, and that empowering patients is her main priority. © MAR WOCN All Rights Reserved - . Page updated 06/10/2018.